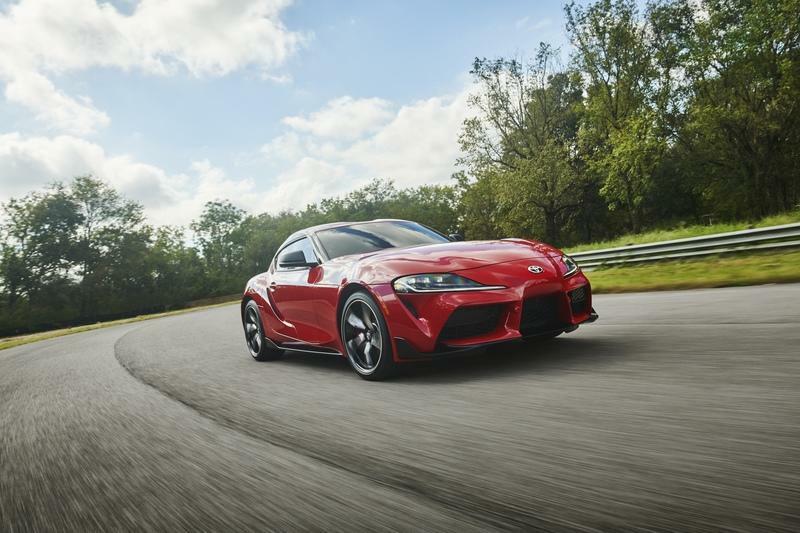 I have been in the business of car journalism for more than a decade, yet, not once in all this time have I witnessed so much scrutiny of a car as we’re seeing right now with the new 2020 Toyota Supra. I can’t say it was unexpected, but literally, everybody is so mesmerized by the newcomer. Not necessarily in a good way, either. Personally, I do believe that this car is possibly one of the best to appear in this decade, but the question is, is this really a Supra? While that question may never be answered, I can tell you a lot of cool things about the new car, and we’re here to talk about them. 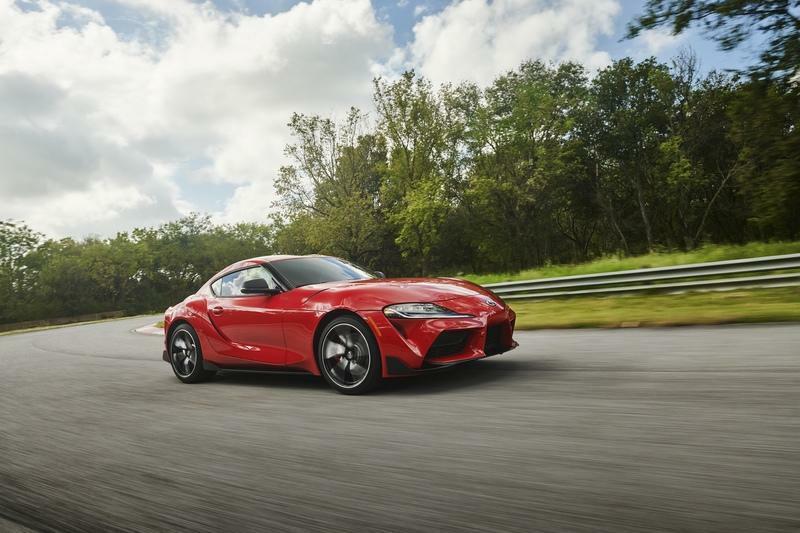 Tetsuya Tada, Chief Engineer of the 2020 Toyota Supra, revealed one curious fact a few hours after the Supra’s debut. He told Road and Track journalists: "One day, perhaps, we cut the speed limiter and try the time attack (on the Nurburgring). But even just driving it as it is, it’s really fast. On the old course, it’s very easy to break eights—7:50, 7:40. It will do that easily."
. 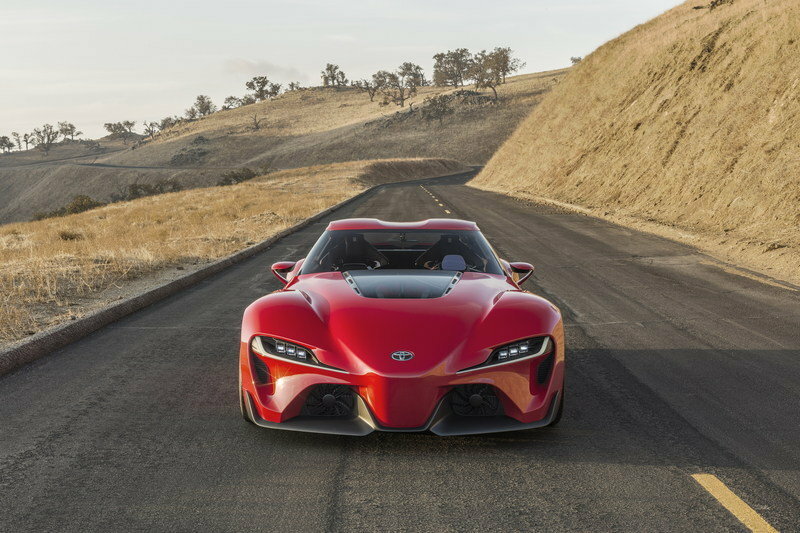 If it manages to do low 7.40s, that would mean that the Toyota Supra is in the company of the Mercedes-Benz SLS AMG, the Chevrolet Corvette C6 ZR1, or the Lamborghini Murciélago LP670-4 SuperVeloce. I told you it will be a glorious car. The true competitor to the Cayman S. That one managed to do 7:46.70. Well, you can see this fact for yourself, can’t you!? Now, the thing is that Toyota and BMW basically have an arrangement that states they would design the car completely separate. After the first meeting between Adrian Van Hooydonk, BMW head, and Akio Toyoda, Toyota head, the whole plan was laid out. “The design teams then went their separate ways, and I never saw what they did until we were finished. We had a meeting at the end where we shared with one another what we’d done, on the same wheelbase and mechanicals,” Adrian Van Hooydonk said earlier in 2018." 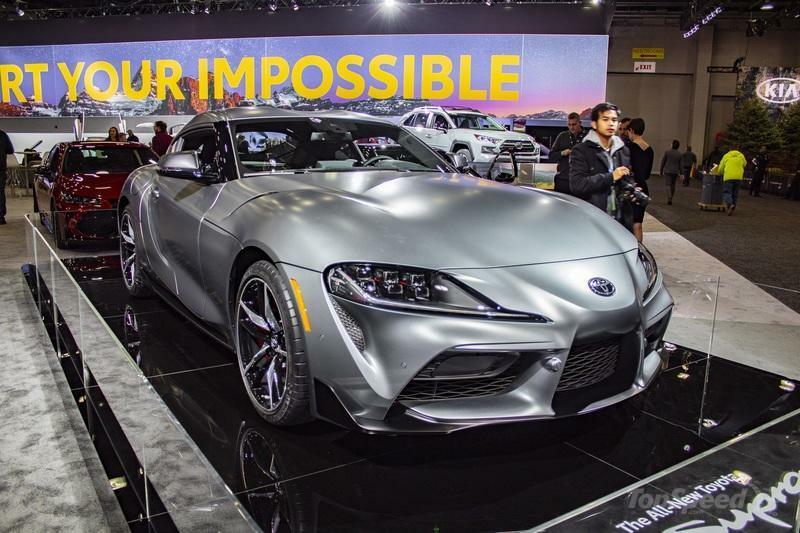 The design obviously does not have much in common, and it is quite impressive to think that the Z4 and the Supra have basically the same drivetrain, tech, and suspension. I hope they drive differently too. 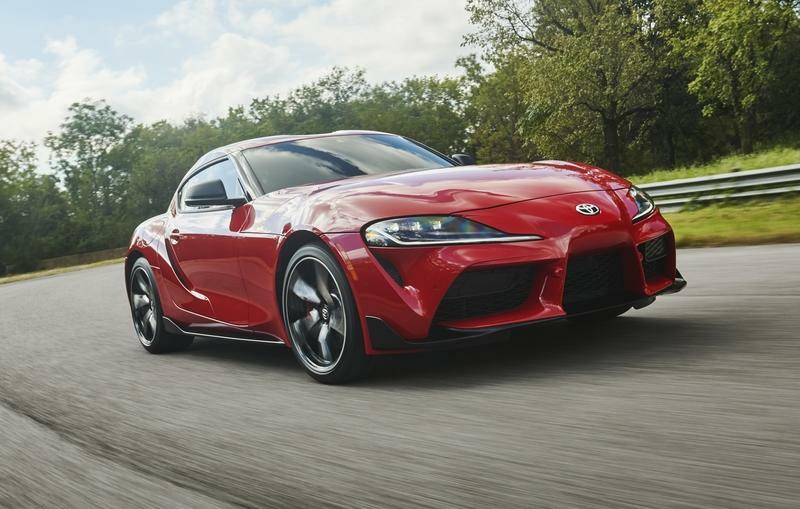 Our guy Jonathan wrote an awesome article in which he states he’s unsure about the maximum power output of the new Toyota Supra. 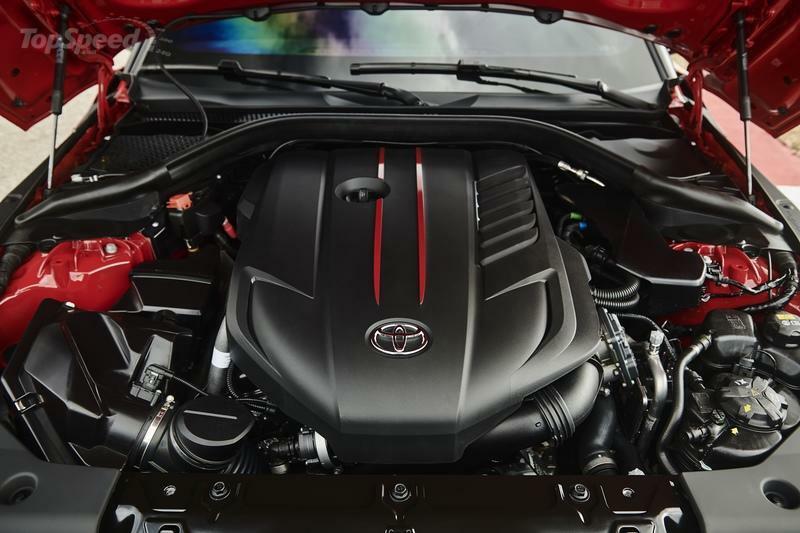 See, Toyota claims that the BMW-sourced, 3.0-liter, inline-six's output is 335 horsepower and 369 pound-feet of torque. 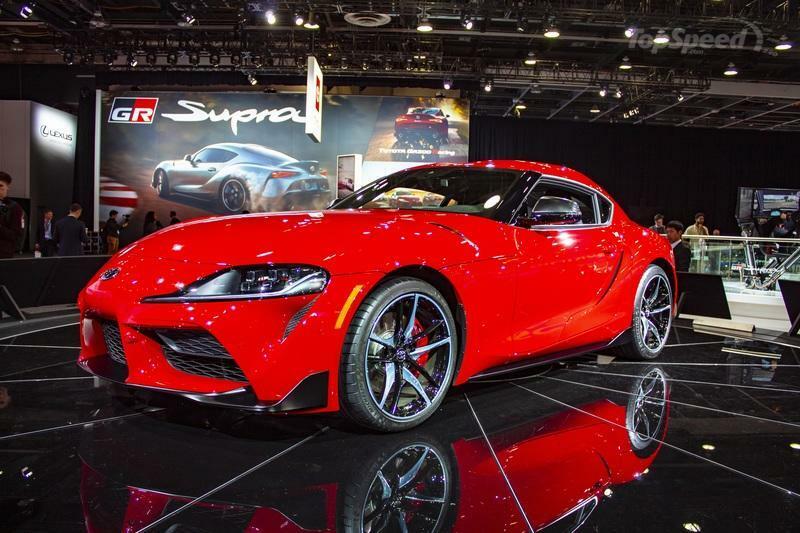 However, the acceleration numbers for the new Supra stand at 4.1 seconds for 0-60 mph and 4.3 seconds for 0-62 mph. 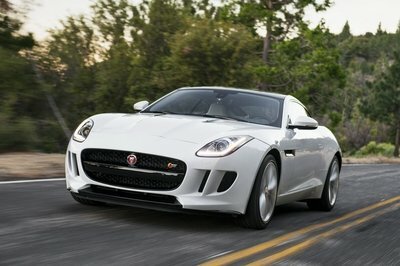 Honestly, this seems a bit too quick for 335 horsepower. “You probably remember the old fourth-gen Supra, yes? 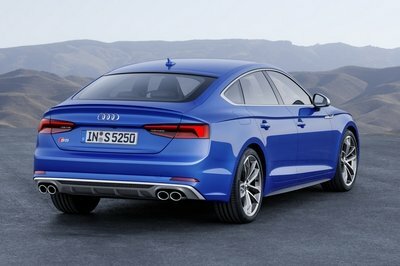 When it was first released, this thing came equipped with a twin-turbo 3.0-liter inline six-cylinder making 320 horsepower. Properly motivated, it could reach 60 mph in about 4.9 seconds. Now, the biggest competitor to the Toyota Supra is the Porsche 718 Cayman S. That’s actually the car Toyota aims to beat. With 350 horsepower, a 2.5-liter, turbocharged, four-cylinder engine, PDK transmission, and Sport Chrono Package, the Cayman S will do 60 mph in exactly 4 seconds. However, I am writing here about a car that tips the scales at 3,054 pounds. That’s exactly 343 pounds less than the weight of the Supra. And the Porsche has a quicker PDK transmission at that. With all of this said, I have to remind you that the Supra shares its engine with the Z4 M40i. However, Beemer said that the engine develops 382 horsepower. Now, I have a strange feeling that in order to achieve 4.1 acceleration, the Toyota Supra has to tap a bit of overboost. 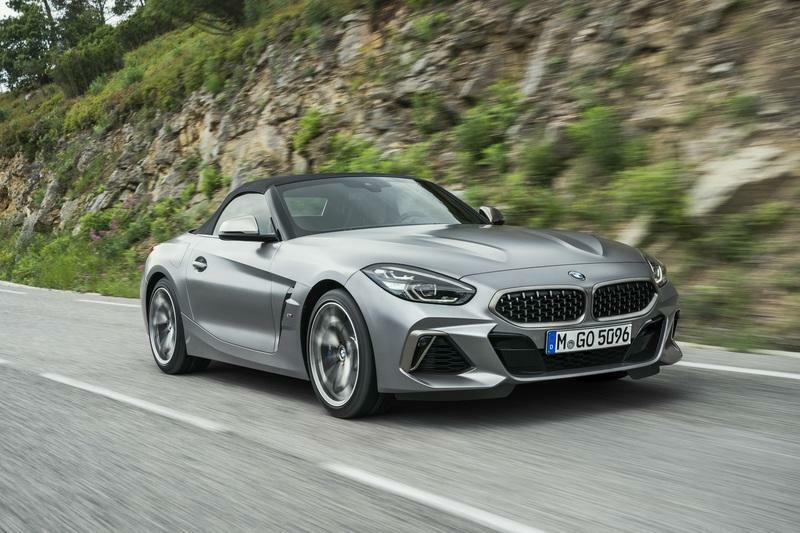 True, nothing was said on the matter, but BMW and its specs for the Z4 M40i suggested that one would hit 60 in 4.4 seconds. Only to correct itself after the Supra was revealed. At the time, BMW noted the Z4 M40i will actually do 60 mph in 3.9 seconds. And that with the 382 horsepower engine. 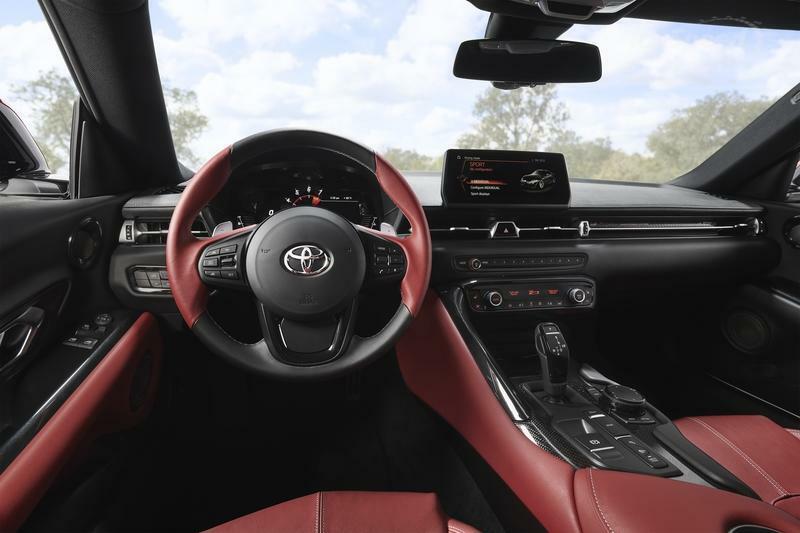 All in all, I leave it for you to assess if the Supra can pull off 4.1 seconds acceleration with a 335 horsepower engine. 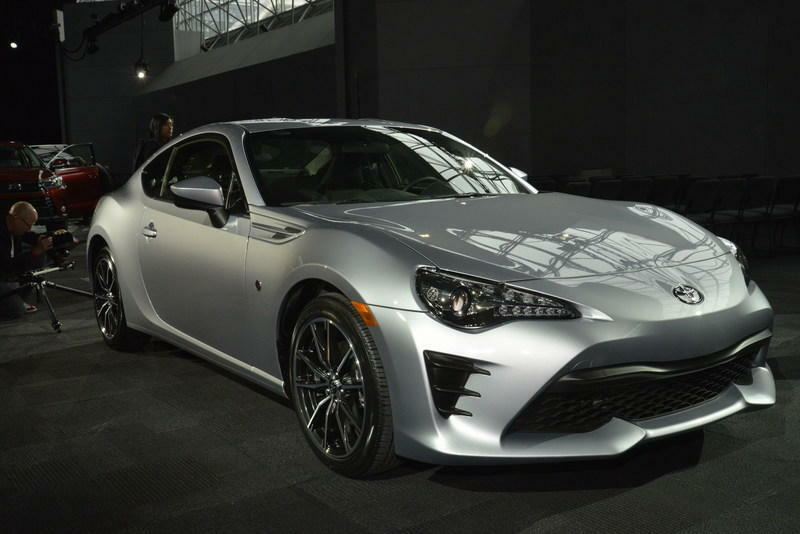 Everyone was rather disappointed by 200-horsepower that BRZ/GT86 brought into play. 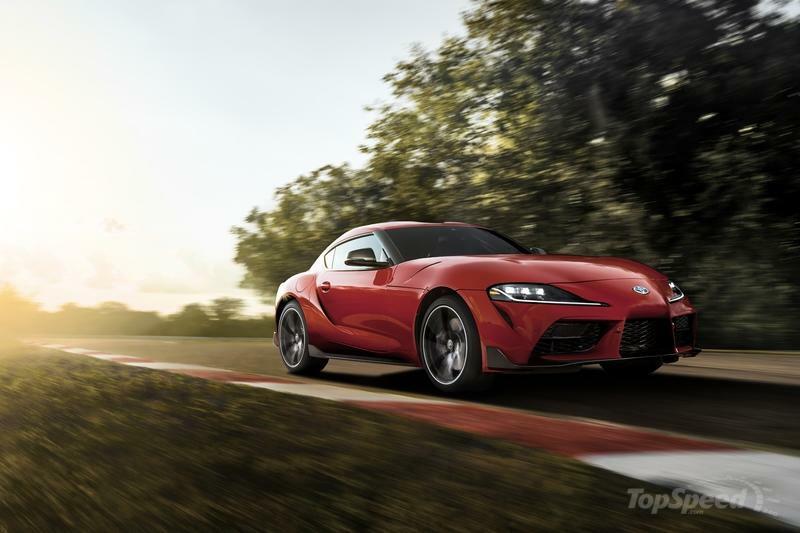 So much so, that some Toyota officials said that the new Supra will be a perfect car for those who find the GT86 lacking power or performance. The size of both cars is almost the same with the GT86 having a slightly longer wheelbase, but also being a bit shorter overall. 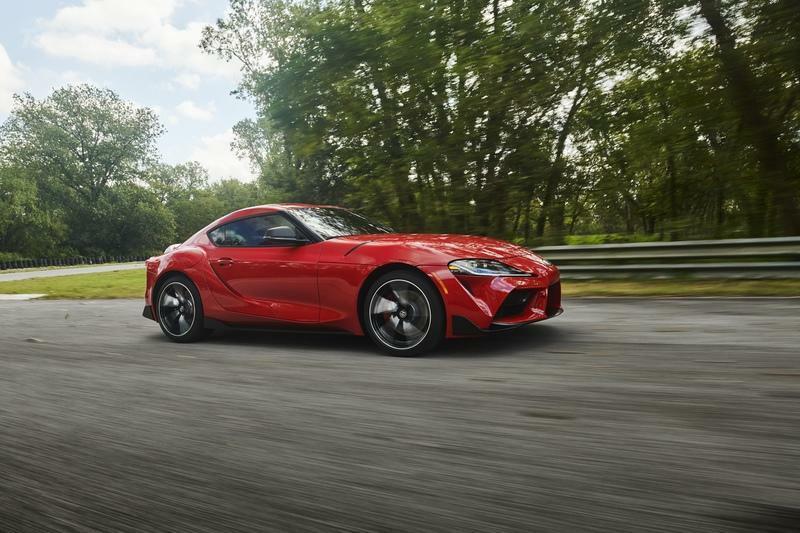 In order to provide an acceptable replacement for the GT86, Toyota offers the Supra with a smaller, BMW-sourced, 2.0-liter engine with 255 horsepower. There’s even a 194 horsepower version in Japan. 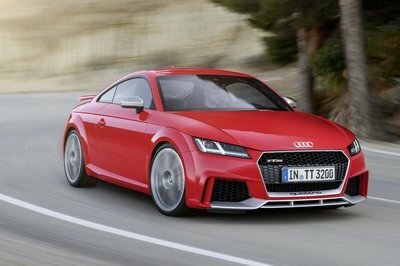 I don’t know about you, but a Supra-like this is most certainly better than the GT86. 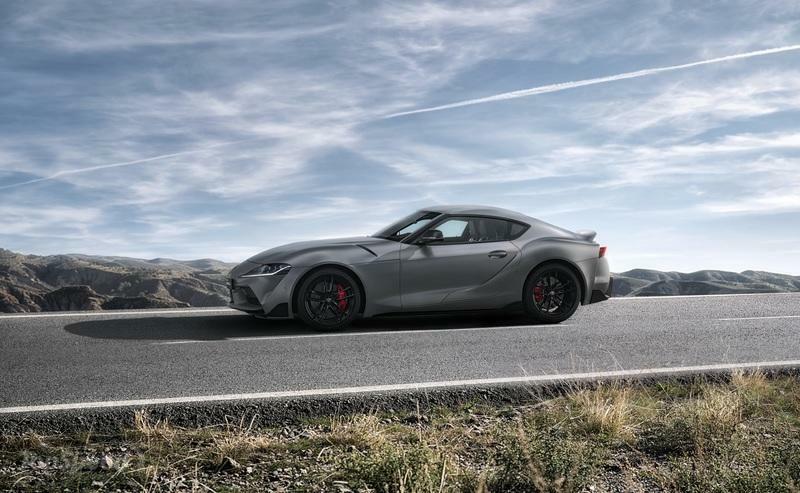 Visual analysis of the new Toyota Supra may trick you into thinking that this car is all about aerodynamics. After all, what other conclusions can you draw with all of those vents? While most of them are fake, the thing is that the Supra is a small aerodynamic masterpiece. And one of the most important pieces of that masterpiece is the flat floor (aside from the tunnel for the exhaust pipe). That’s really important for airflow under the car, as well as high-speed stability. 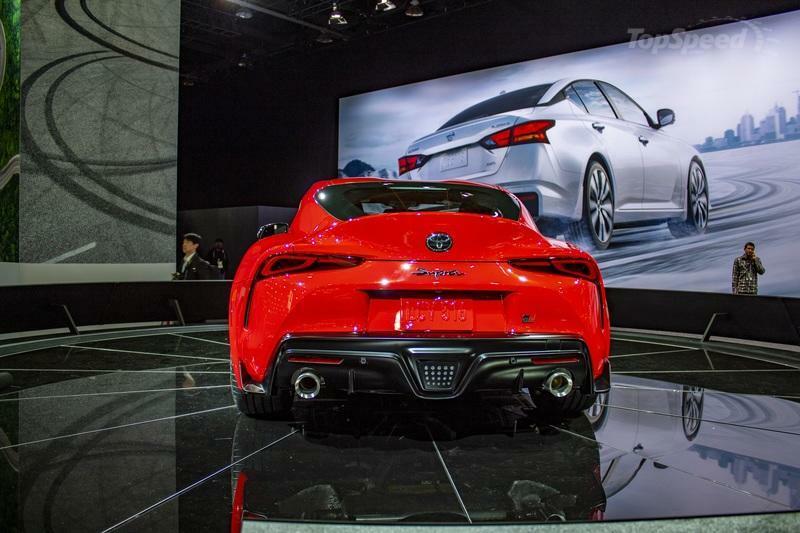 And it says something about Toyota’s dedication to building sports cars. Yes, a reverse light, but it is also a throwback to racing cars and especially to F1 cars. For the F1, the red central rear light is activated when it’s raining, when the F1 car decelerates, or when some kind of a hazard is on the road. So, does that make the rear light on the Supra a bit fake? I don’t think so. It is a cool throwback and a nice design cue. 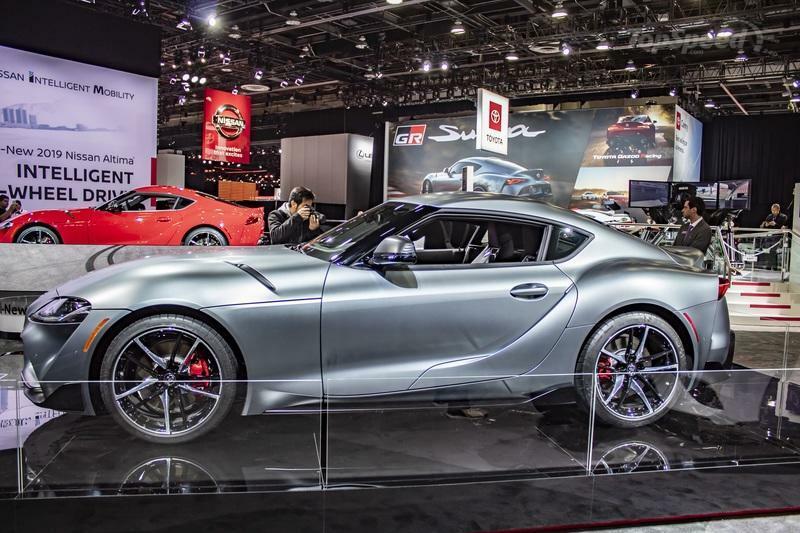 You read that right, the 2020 Toyota Supra is basically the shortest Supra of all time. Practically, the smallest. 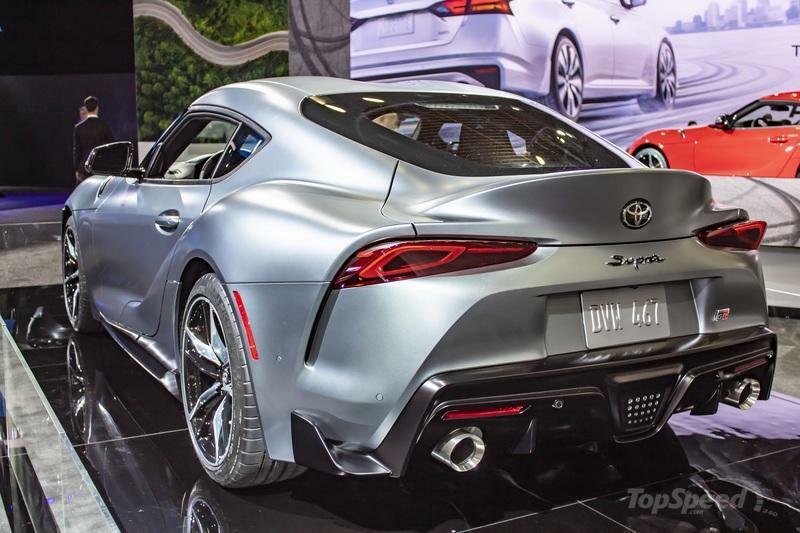 Yet again, this doesn’t come as a surprise as every subsequent Supra since the A60 was shorter than its predecessor. So, nothing wrong here, I guess. 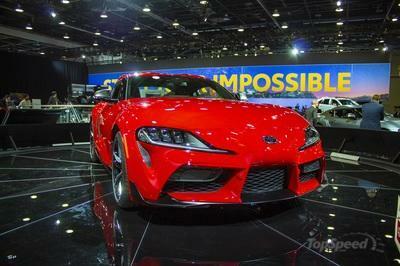 Back in July 2018, I learned that the then-upcoming Supra will have the same body rigidity as the Lexus LFA. I mean, really? The LFA is one of the best supercars ever produced, and one of its main traits was that famed rigidity. 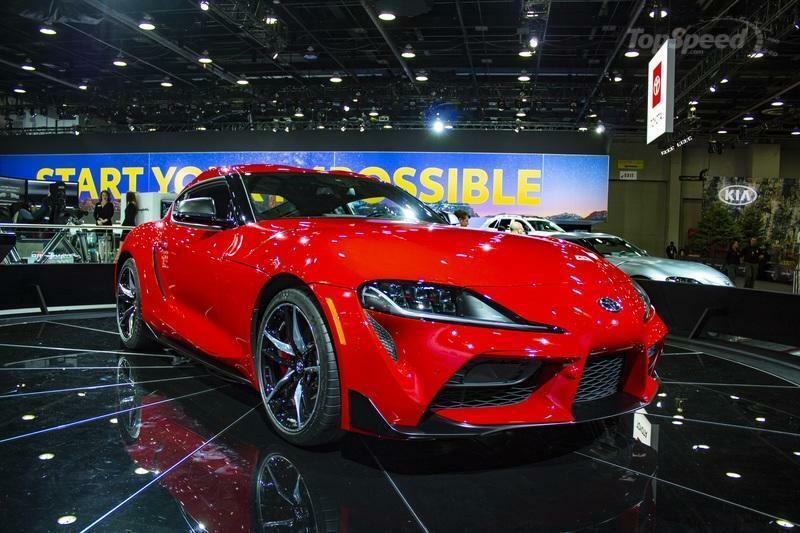 Then, Toyota Supra Chief Designer, Tada said that “It’s actually the same level of rigidity as the Lexus LFA supercar, and it has been achieved without using carbon fiber so we could keep the price point at an affordable level. That was the most difficult thing to achieve." So, that’s that. Toyota and BMW managed to create a small wonder really. With that said, I would like to know about every single structural difference between the Z4 and the new Supra. If there are any, that is. It may well be that all is almost the same. 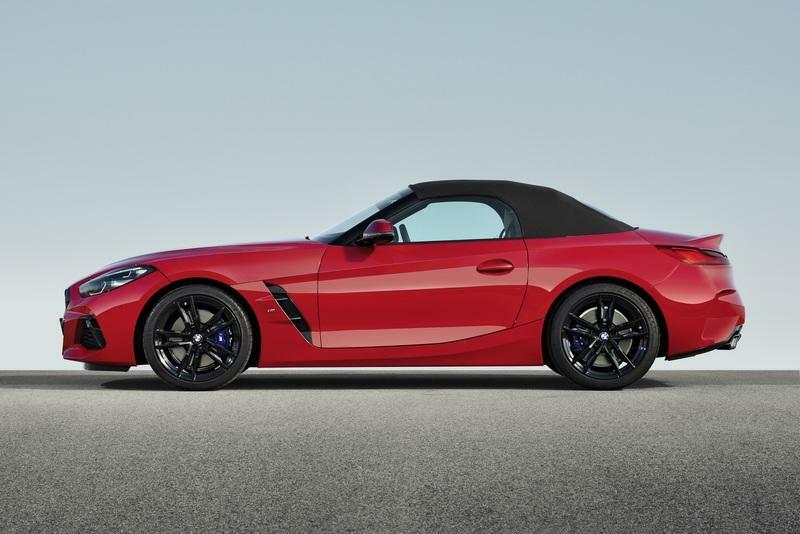 And, while I’m at that, just imagine what a sensation would a Z4 Coupe be. Ouuh, boy! I don’t know if this is light or not. 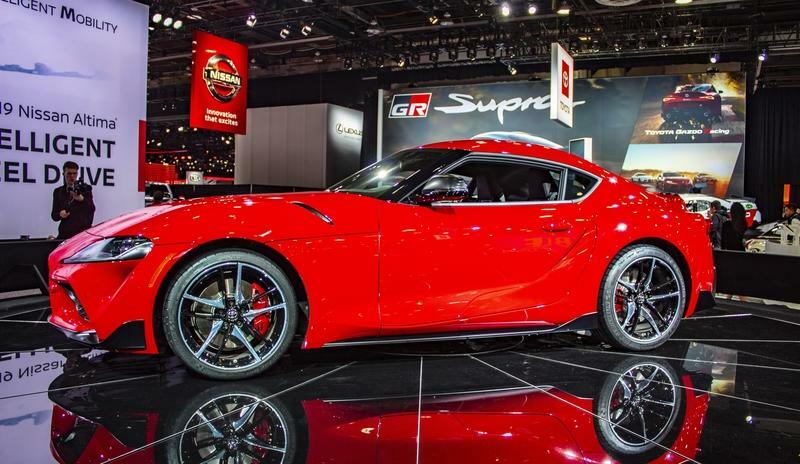 Compared to the Supra Mk4 with a 3.0-liter, biturbo engine and a manual transmission, the new model is about 100 pounds more at 3,397 pounds. However, compared to the Porsche 718 Cayman S, it feels somewhat heavy. The Cayman is more than 350ish pounds lighter. And that’s a lot. Yet, the Supra is less expensive, so I don’t mind it actually. 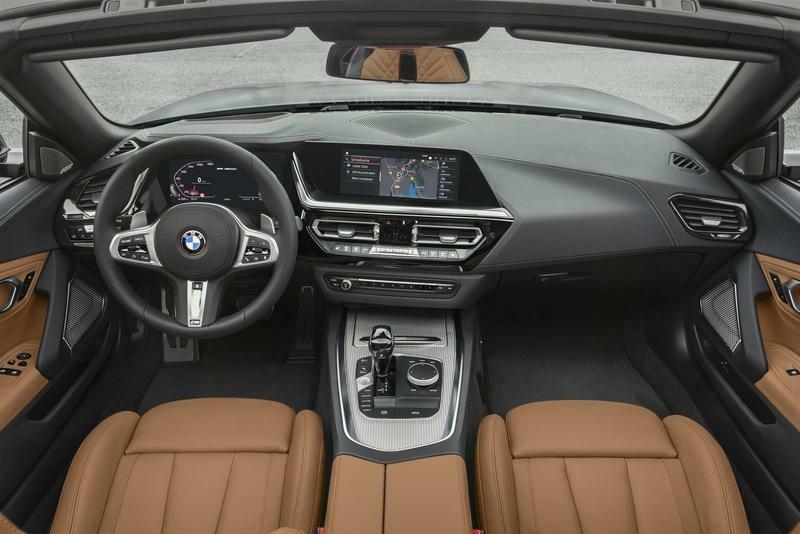 The inside may be full of BMW parts - like the buttons, the Infotainment (including slightly modified software, might I add), the seats and the stalks, but the dashboard shape isn’t anything like that of the 2019 BMW Z4. At least, that’s the difference. Honestly, I don’t mind this cabin arrangement at all. If you can forgive Toyota for the almost exclusive use of BMW parts, then the inside is quite dashing. "If you look at the vehicle today, there’s holes all over the body," Tada said. "They’re just capped on the production car. Those are for the racing model. When the customer goes and converts it to a racing car, or adds those necessary components, those caps come off very easily. So, it's already pre-made, ready to accommodate." Now, I doubt this. My research included watching and reading about the Supra more than I really should, and let me tell you that not one of those fake vents is as ready as Tada suggested. To put it simply, they do not lead anywhere. Well, sorry Toyota fans, but this is probably true. Now, you cannot see these BMW logos right away, but peek under the bonnet or glance at the suspension, and you will see BMW logos on almost every part there. Shared parts are a common thing with basically every major car producer. However, how do you feel knowing that the BMW 3 Series and the new Toyota Supra have basically the same knuckles, suspension arms, and even plastic aerodynamic pieces screwed to the lower suspension arms. I believe many other parts are shared with numerous BMW vehicles. 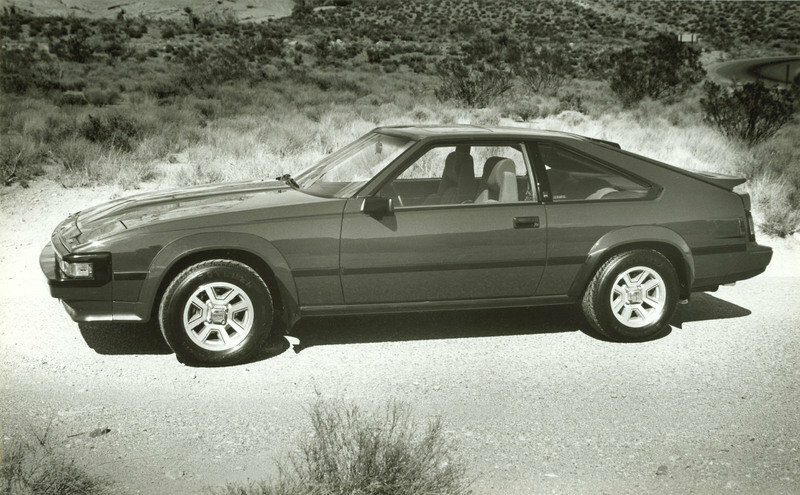 Believe it or not, the Toyota Supra was not nearly as popular as it is now before the 2000s. Actually, Toyota had a lot of issues with sales. 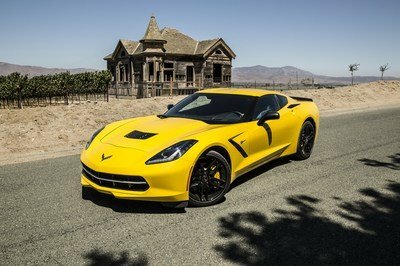 No one wanted a Japanese gizmo next to proper American muscle - like the Corvette. However, after it became massively popular in the Fast and Furious movie and numerous video games of the time, its cult started to grow. The famed 2JZ reached the status of a deity and all of a sudden the Supra turned into a car that could smoke a GT-R, a Ferrari, a Lamborghini, or anything else. That is how the current generation of car aficionados grew up actually. They do not see the Supra as a car to fight the AMG A45 or the Audi RS3. No, no no. 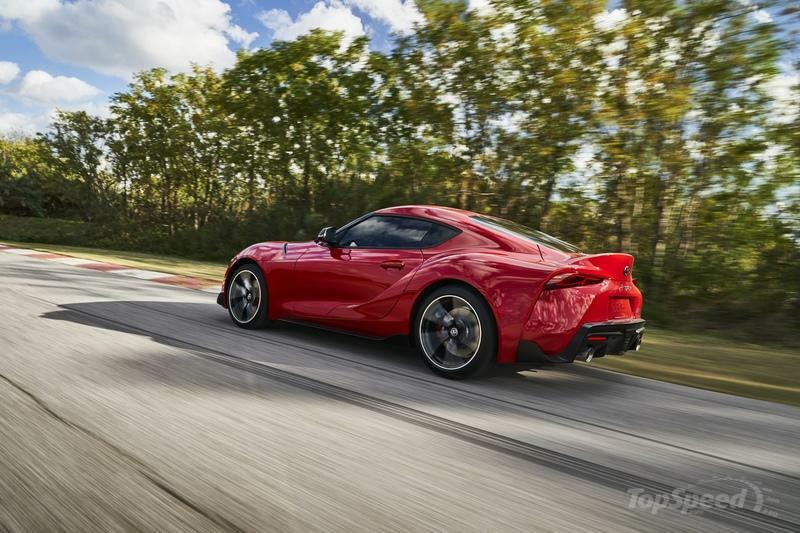 In their heads, the Supra should be something that can kill off a freaking 458 Italia. But it can’t. And it never could. At least not in its stock form. So, I submit to you that the car world as a whole would be much happier if Toyota created a Supra that can withstand a GT-R attack. But in that case, what would the point of Lexus be? I am really interested in this, would you be willing to swallow something called the Lexus Supra that sells for $100,000? For the kind of performance you expect of your beloved machine, that’s the utmost least amount of money that would be required.